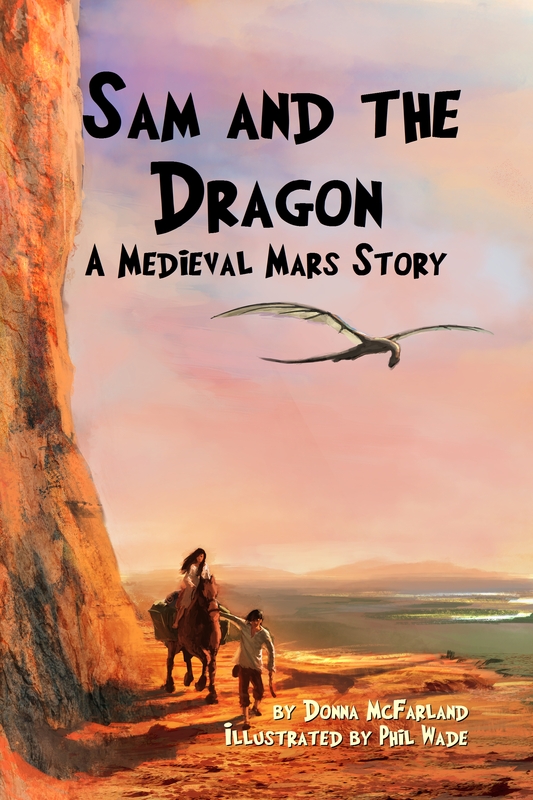 I am excited to announce my newest release: Sam and the Dragon: A Medieval Mars Story will be available on Amazon on November 14, 2014! Available for pre-order here. At the age when other boys are beginning apprenticeships like blacksmithing or masonry, Sam dreams of bygone days when his ancestors could fly. It has been one thousand years since Mars was colonized and terraformed by people from Earth. When the civilization collapsed centuries later, most technology was lost. Now flying machines are considered fairy tales born in the Time of Magic. Still, Sam yearns for a life where anything is possible. Things aren’t going too well at the home Sam shares with his aunt and uncle and his cousin Ahni. His aunt is growing mysteriously sicker by the day and his frail uncle is unable to deter a dragon who is stealing their goats. Without the herd, they won’t have money to pay the rent and will end up living in the wild. Sam and Ahni embark on a perilous journey where they encounter a cave full of strange treasures, come face to face with a dragon and form unlikely alliances that just might prove to save the day. For ages 9-12.